Viking warrior swords found in graves might not mean the owner was a warrior themselves, claims new research. A Viking cemetery in Poland shows a skeleton buried with a sword, which may not necessarily mean the person was a high-status warrior, according to the new research. Swords found in early medieval graves don’t necessarily mark the final resting place of a warrior, new research suggests. The international research, combining literary and archaeological data, borrows from ancient texts to challenges the long-held notion that swords found in excavated ancient gravesites bear the mark of a warrior. 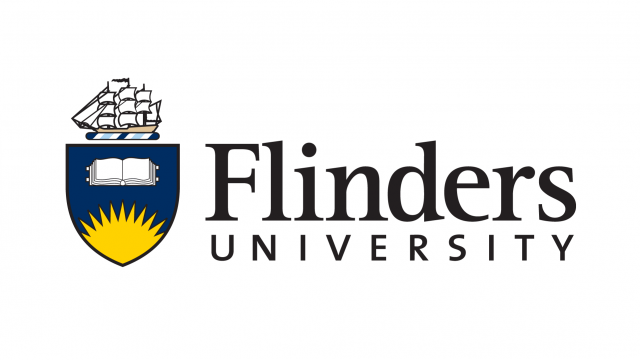 Flinders University expert Dr Erin Sebo says the research team has found enough evidence to overturn one of the common assumptions in early medieval archaeology. The study considered every description of, or reference to, a warrior burial in Old English or Old Norse literature, and found that none feature a sword, suggesting that it is highly unlikely that the presence of a sword indicates a warrior burial. “If the presence of a sword in a grave doesn’t define a person’s status as a warrior, then perhaps we have to think in a completely different way about what a sword represented in the early medieval mortuary context,” says Dr Sebo, a lecturer in medieval literature. The results have been published in the Journal of European Archaeology. Dr Sebo was approached by archaeologist Professor Sayer from the University of Central Lancashire to investigate the status of swords found in ancient graves after 2017 DNA analysis of a 10th century Viking skeleton from the Swedish island of Bjorko. The analysis found that the remains, long thought to be a high-status warrior due to a cache of weapons found in the grave, was in fact a female. While most academics therefore assumed the female had to be a warrior, Professor Sayer and Dr Sebo wanted a fresh perspective by taking a fresh look at ancient texts to seek answers. “In the past, it has been difficult to undertake this kind of research because it has been impossible to date Old English texts. Approximately 400 Old English literary texts survive from 550-1100CE/AD, but unfortunately these are only copies of the first manuscripts,” says Dr Sebo. However, with a range of new techniques, including linguistic techniques, digital humanities methods and ‘big data’, the researchers have been able to establish a chronology, which makes exploration of cultural evidence from literature available for the first time. Working in conjunction with archaeological data, the researchers found many anomalies to challenge the assumed significance of buried swords. This includes swords found in the graves of people with obvious and significant deformities, meaning they could not have used the weapons in battle. It therefore poses significant questions about what such a buried sword signifies – perhaps to provide them with a means of defending themselves from otherworldly foes when crossing over in the afterlife? 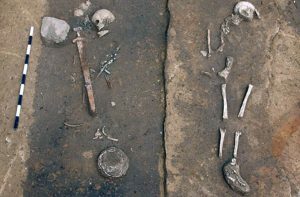 Dr Sebo says this new research has far-reaching implications, because archaeological studies of social structure and cultural practice of medieval societies have often relied on the number and arrangement of ‘warrior’ graves, as identified by the presence of swords. She believes the new study will trigger fresh research into the significance of swords beyond being the tools of warriors, because previous assumptions now need to be revised.